Let your precious pooch walk in the pawprints of canine champions with our luxury Pedigree Grass from the Artificial Lawn Company. Previously used in the main arena at Crufts Dog Show, this quality artificial grass is now available to purchase for your home and garden. Please note that availability is limited, so don’t miss out on your chance to own a piece of dog show history! Designed just for dogs, our Pedigree Grass artificial lawn is ideal for use in dog runs, training areas and agility courses and features a durable, curled pile that offers comfort under-paw while retaining a luxurious appearance. The high-quality, short 15mm pile length boasts excellent low-maintenance properties and the gorgeous olive green is sure to attract positive attention. 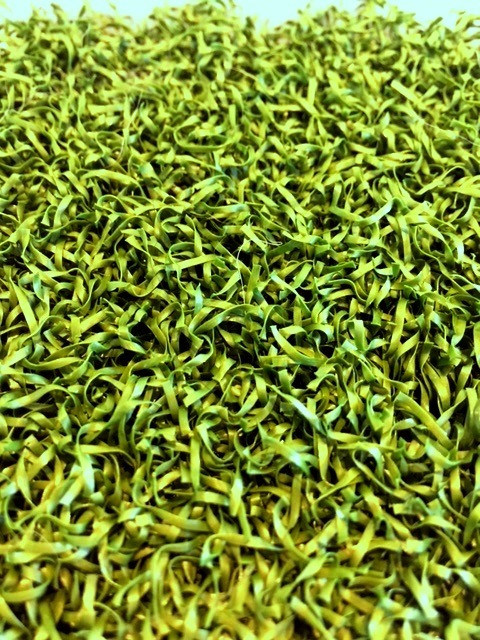 Transform your dog run or play area with our Pedigree Grass, available in 2m or 4m widths. We’re so confident in the quality and durability of our artificial grass that each and every one of our products comes with an eight-year guarantee. In addition, if you receive your artificial grass and find a fault, we will gladly replace the faulty product with a new set or refund you - just make sure that you get in touch with us the moment you notice an issue. We estimate a delivery time of two working days to the United Kingdom and three working days to Ireland, although this can change depending on the size of your order and the delivery option you choose. All delivery charges are finalised at checkout, so you don’t need to worry about hidden fees when you shop with Artificial Lawn Company.